Canyon Gate is a beautiful guard-gated golf community that showcases their photographic views of Red Rock Canyon. The Canyon Gate Country Club offers a championship 18-hole course that requires extreme accuracy due to the many water obstacles. The 160-acre layout is broken up by scenic waterfalls and sand bunkers creating a challenging course. In addition to these environmental challenges, one can find wildlife. 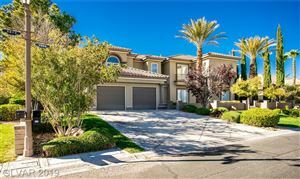 Located only 15 minutes west of the Las Vegas strip, Canyon Gate is an exclusive community that has much to offer. Along with the Ted Robinson golf course, Canyon Gate offers 5 world-class lit tennis courts, sparkling outdoor heated Las Vegas swimming pools, and more.